pptx | Is life worth living? I wrote some web apps that gets some data from Database and make table in pptx. 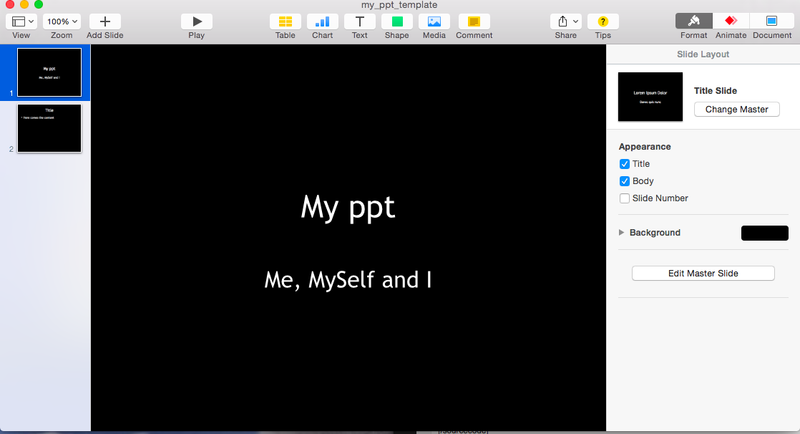 Because, I want use my time about research not making pptx. The script uses python-pptx library. Medicinal chemist needs not only data but also structures in pptx, but I couldn’t embed structures in pptx files. I don’t have enough skill do that :-(. Today I found very cool tool using RDKit and Python-pptx , named sdf2ppt !!!! Wow ! that’s sounds nice ! Source code and good presentation were uploaded github. Before use it, user needs to install python-pptx and rdkit. If you are mac user, it’s very easy to install the tools using pip and homebrew :-). Then I got sample sdf from pubchem (sdf maybe anything OK). in sdf2ppt folder sample template_pptx file is. So I used it. If useing default settings, you can make pptx only typing like this ..
Then new pptx file will be created. 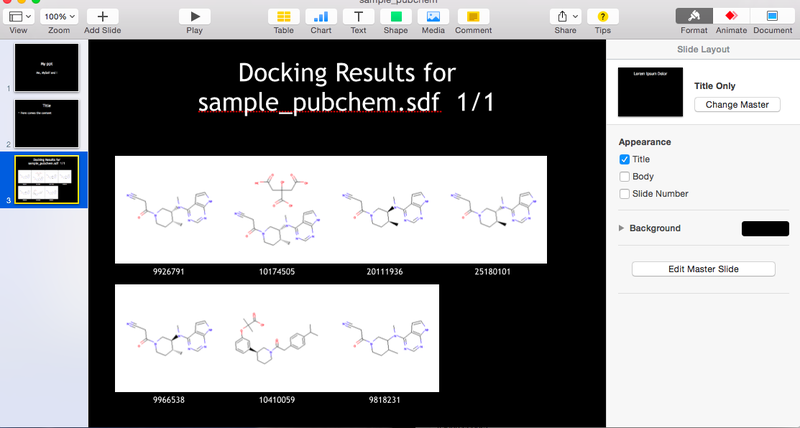 New pptx file has images and each image has chemical ID that annotated in SDF. Text area and settings(like how many compds images in one page, or template or more.) are easy to customise using python.